In spite of the lovely Hannah from Make, Do and Push having one of my favourite blogs, I’ve somehow managed to never join in with her delightful The Week That Was: Captured linky before. So, now is the time to rectify that and start doing accounts of what we’ve been up to each week. I’m also linking up with Point + Shoot with Aby and Em. 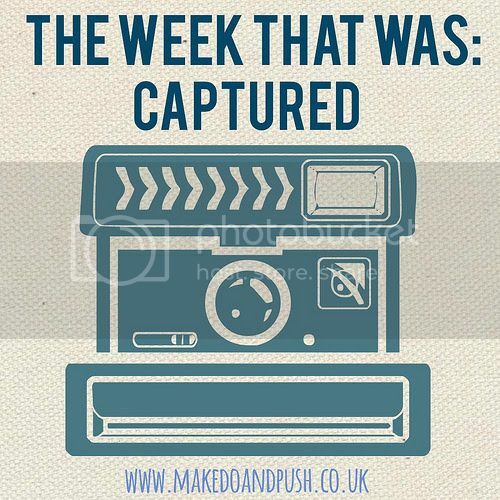 This week is possibly not the best one to start with as it has been pretty rubbish in many ways, but it did get loads better as the days went by and Saturday was really lovely so here is The Week That Was: Captured! Toby loves his Little Tikes slide! How has your week been? Any highlights to share? Let me know in the comments below or get in touch on Facebook or Twitter. Has Toby carried on walking for the rest of the week? Gwenn took her first steps about four weeks before she started walking properly; it was so frustrating!